The apartment block is located in the part of town called Novi Zagreb (New Zagreb), famous for its green areas and residential buildings. 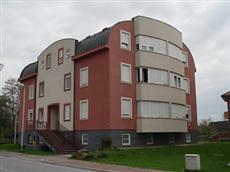 The apartments are very convenient for visitors to the Zagreb Fair, lying just a 10-minute walk away. Banks, shopping facilities, public transport links and a pharmacy can all be found within the apartments' immediate vicinity. The city centre is 2.6 km from the apartments.